Free Gas!!! Located on nearly 49 acres at the gateway to the Hocking Hills. Just 35 mins to downtown Columbus. Beautiful 5 bedroom 2 bath Farmhouse that is nearly 3000 sq ft. Home has been renovated including spacious new kitchen, roomy front porch, brand new carpet, drywall in living rooms, updated electric panels and Kinetico water system. Property also includes a 24x40 pole barn and a detached mother in law suite with full kitchen & bathroom. 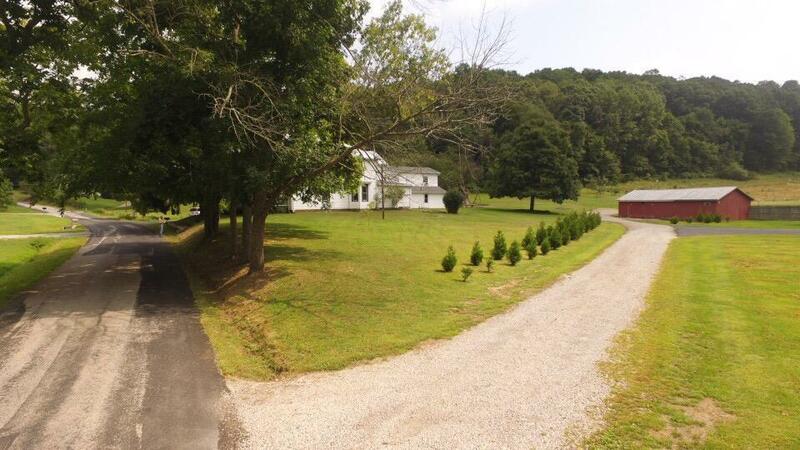 This farm consists of 40 wooded acres and remaining acreage is grassland. Plenty of trails. Fruit trees & blackberries. The large stocked pond that sits in the valley and two never-dry springs in the woods provide a great water source for the abundant deer and turkey that inhabit this land. Don't miss out on this great opportunity! Berne Union Lsd 2302 Fai Co. Listing provided courtesy of Jeremy R Mills of Rise Realty And Management Co.